Our philosophy at 2to3days is bigger than who we are and what we do – we’re a social and economic movement comprising progressive leaders and highly capable mothers who together want to close the void between the business world and motherhood by championing mothers’ career progression through flexible working. We’re extremely proud to officially welcome Jo to the 2to3days hood as our first ever ambassador – her talent, vision and innovative approach is at the cutting edge of how working practices and employee engagement will change in the future, making Jo a perfect champion to help drive diversity in the workplace and flexibility for working mothers. 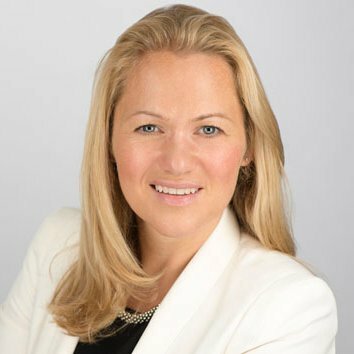 Co-founder of boutique agency Culture Consultancy and formerly head of HR for Goldman Sachs France and Switzerland, Jo brings 18 years’ experience in change management for various organisations across the globe. Her reputation precedes her - an expert in building high performance and inclusive cultures. Jo specialises in working with senior leadership teams to design and deliver large-scale projects in a wide variety of organisations. She has a proven ability to assess and design cultures, drive people engagement and identify the development needs of individuals and businesses. Jo is also a co-author of “Building a Culture of Innovation” which is an Amazon bestseller and she regularly speaks on topics such as, Next Generation Leadership, Cultures of Diversity, Innovation Culture and Scaling Culture for Growth. Diverse workforces (and that means diversity of everything – ethnicity, nationality, gender, age, thought) make workplaces fairer, more innovative and more pleasant. Alongside this mission, I’m determined to see British businesses succeed through more efficient productivity. When these two visions come together, companies and people thrive. Currently, the UK has comparatively low productivity despite people spending longer than ever working, resulting in increasing job dissatisfaction and mental health issues among employees. With a multi-generational workforce gaining traction, attitudes need to change and the mechanism to do this requires diversity. Tapping into the many thousands of mothers who want to return to work but are challenged to is the key to business success and development now and in the future. This mother-talent can make a real difference to the UK’s economy – educated, experienced, qualified and ambitious. Utilising this group should be part of every business strategy. This is why 2to3days is such a key platform for employers who recognise that flexibility is crucial to attracting, nurturing and retaining dedicated, talented employees throughout their career. It connects the right talent to the right companies. Both men and women are more likely to leave a company that is not flexible, so by offering flexible working you can retain the most highly educated and experienced talent. It’s proven that organisations with the most gender diversity outperform those with the least – employees working in these inclusive cultures will enjoy higher satisfaction levels, increased engagement and therefore they will increase overall performance and productivity. With a gender-diverse workforce, a company can also expand its customer base and offer better services. But ultimately for employers, by embracing diversity and flexible working, they open themselves up to a bigger talent pool. If a company can get its head around a culture of flexible working and shed the deep-rooted, misguided fear that it will impact results, then it can access some of the best women in business. Flexible arrangements are proven to help reduce absenteeism, increase productivity and enhance employee engagement and loyalty. By offering flexible working you can greatly increase the pool of applicants for vacant roles, while helping to retain the experienced and skilled staff already in a company. The long-term benefits are culture-changing. If this happens at a junior and manager level, we also have more chance of women and mothers ending up on boards. Now that really is a goal that everyone should get behind. Thanks for having me 2to3days!